Fraud is a huge problem for small- and large-sized businesses in the U.S. According to the Association of Certified Fraud Examiners (ACFE), U.S. businesses lose millions of dollars to fraud every year, and small businesses account for 30 percent of the total losses. Small businesses may be in danger of suffering fraud schemes from outside, but they are also frequently the victims of internal fraud and employee thefts. It is important for you to understand your business’s risk of becoming a fraud victim so that you can protect your company from suffering large financial losses. What is a business calculator? One tool that you can use to identify your company’s risk for fraud is a fraud calculator. The calculator at Bento for Business is free to use and helps to identify your risk of fraud. You just have to answer several questions about your business and expense management practices, and you will receive information about the areas in which you have the greatest risk along with some potential solutions. How can a business calculator help? Using this type of calculator to identify fraud can help you to determine the areas in which you need to focus. Business fraud can cause businesses to fail. Many businesses that uncover ongoing fraud schemes that have been perpetrated against them are never able to recover the money that was lost. 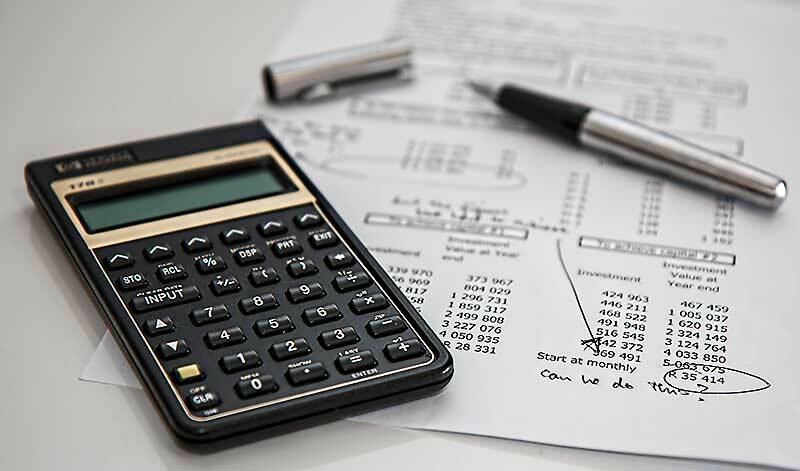 A business calculator can help you to understand what tools to use to help to stop fraud from happening at your company and to quickly identify schemes when they start. This can help you to minimize your losses and protect your bottom line. Why is business fraud something to be concerned about, and how common is it? Business fraud is something that all small businesses owners should be concerned about. If they become the victims of fraud, they may be unable to recover the money that was stolen from them. While larger companies may be able to absorb losses, the losses that might be suffered by small business through fraud could cripple them and cause them to go under. In its Report to the Nations, ACFE found that small businesses suffered a median loss of $200,000 in occupational fraud incidents, which was almost twice as much as the median loss that was suffered by large companies. Using a business calculator to identify your areas of risk can help you to understand the types of controls that you need to implement in your business. What can’t a business calculator help you with? A business calculator can help you to identify the areas of your business that place you at risk of becoming a fraud victim. However, it will not solve the problems for you. You will need to use the information that you have learned to make changes at your company. If you discover that you have already been the victim of fraud, you should report it. One change that might help you to prevent fraud is changing your payment and reimbursement systems to business debit cards. You could also try out our free fraud calculator. The Bento for Business Visa® debit cards can help you to get rid of antiquated reimbursement procedures and check-writing, both of which are frequent targets of business fraud schemes. They also can help you to avoid disallowed charges on your business credit card. The cards allow you to make a deposit to a central account that is insured up to $250,000 by the FDIC and then to decide how much money you want to place on each card for your employees. You can restrict your employees to only making authorized purchases that you determine. Bento for Business has a number of solutions available to small business owners to help them to prevent fraud. There is a free 60-day trial for the business debit cards, and it is fast to get started. The cards do not depend on your credit, and Bento uses SSL-encryption to provide you with better security. Call 866.220.8455 to learn more today.